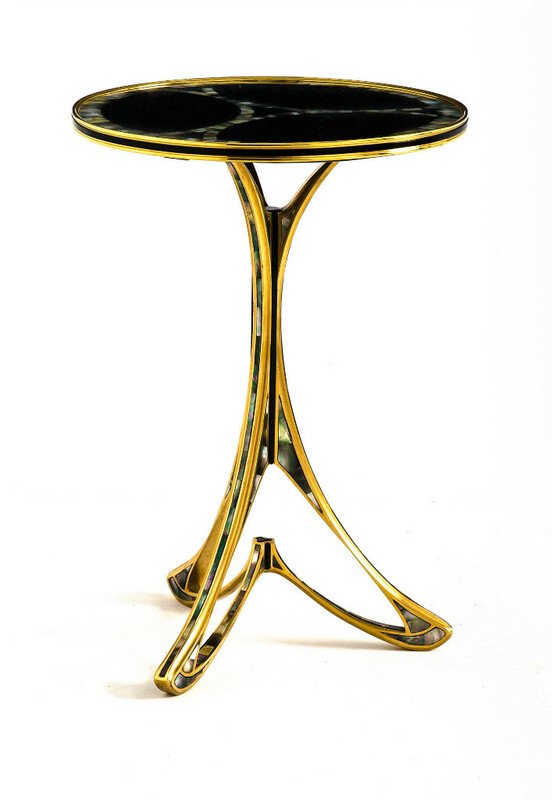 Pedestal gilt bronze inlaid with precious woods and mother of pearl. 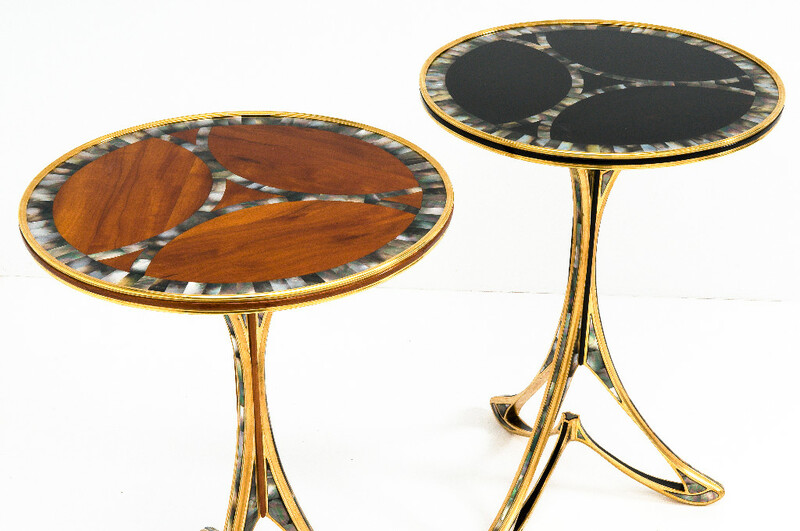 The trays are made of mother of pearl inlay and ebony or mother of pearl and varnished mahogany and surrounded by a ring of bronze stretched and gilded with gold. 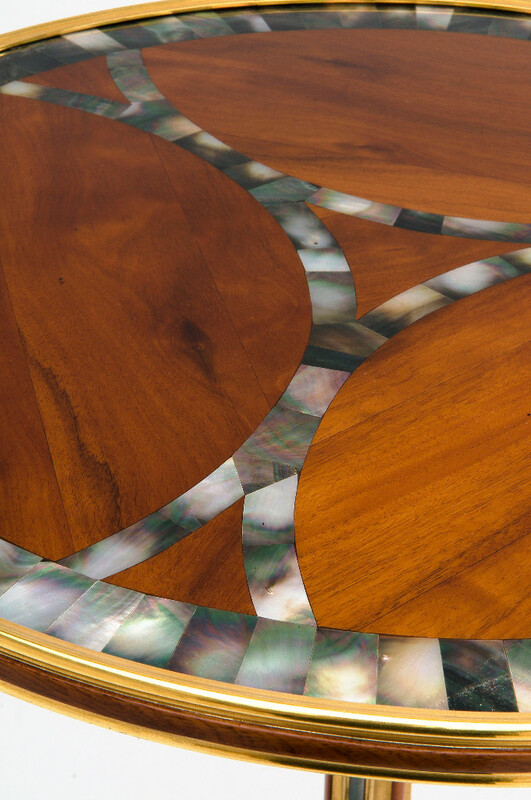 The legs include reserves inlaid with mother of pearl and precious woods present on the plates. 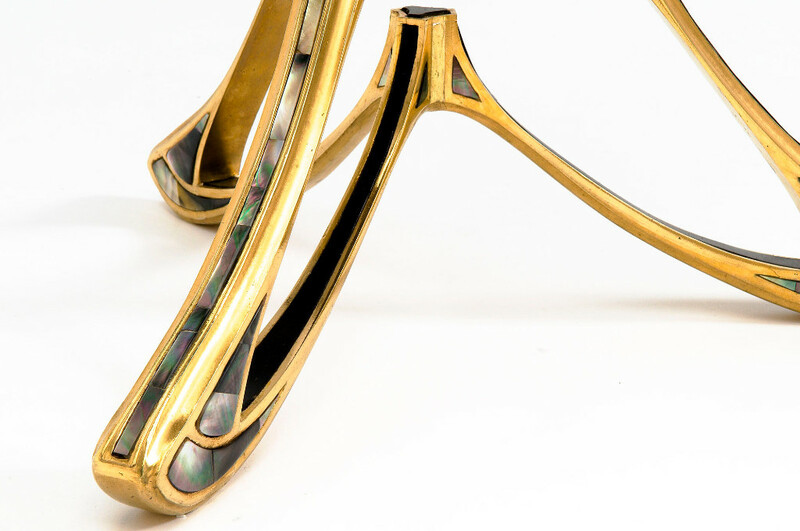 Legs and plates are joined by a three-pronged piece of steel bolted to each element. 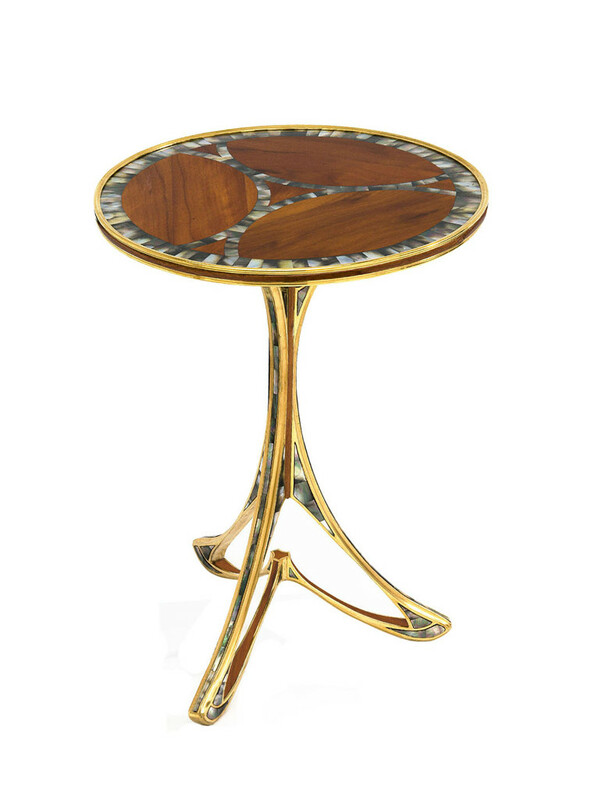 Material : Shell, bronze, ebony and mahogany veneer, gold. 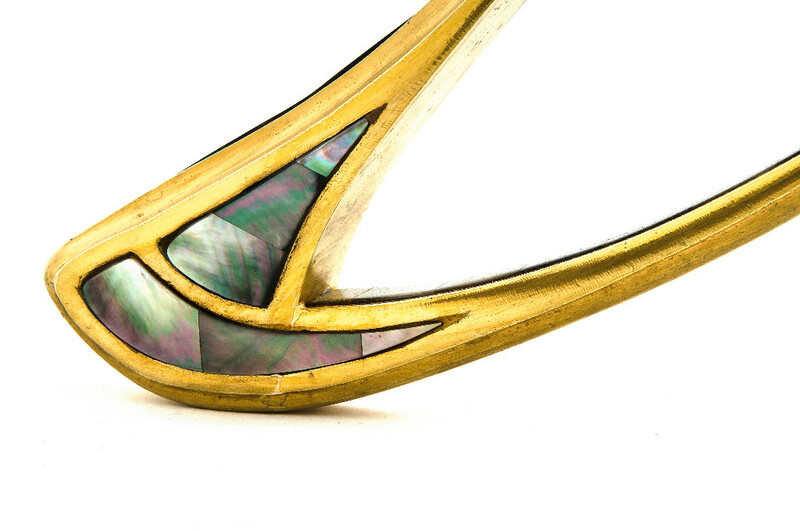 The pearl comes from the bottom of the sea, or born in the land, the wood is high in the air, the bronze has stood the test of fire to find his form. They are the creators of all life as we know it and elements that symbolize their union of Male and Female. The creator wanted to make a piece paying tribute to the man and life. 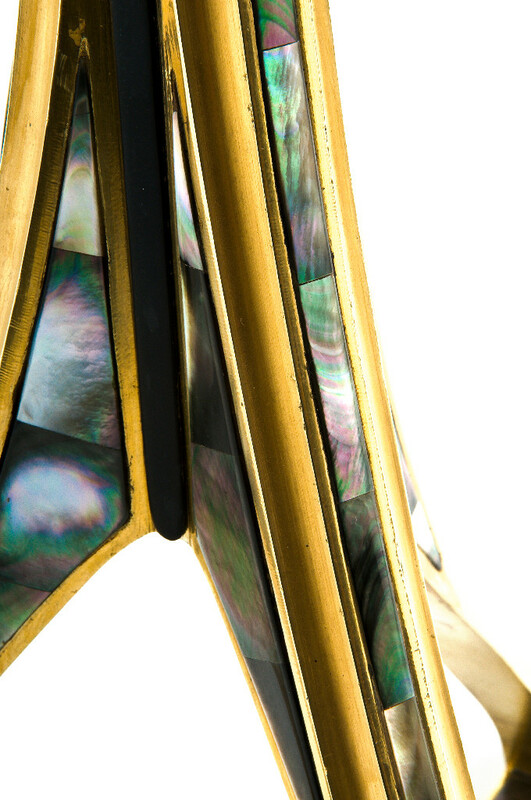 Gold electroplating bronze Tahitian mother of pearl, ebony veneer or Cuban mahogany. 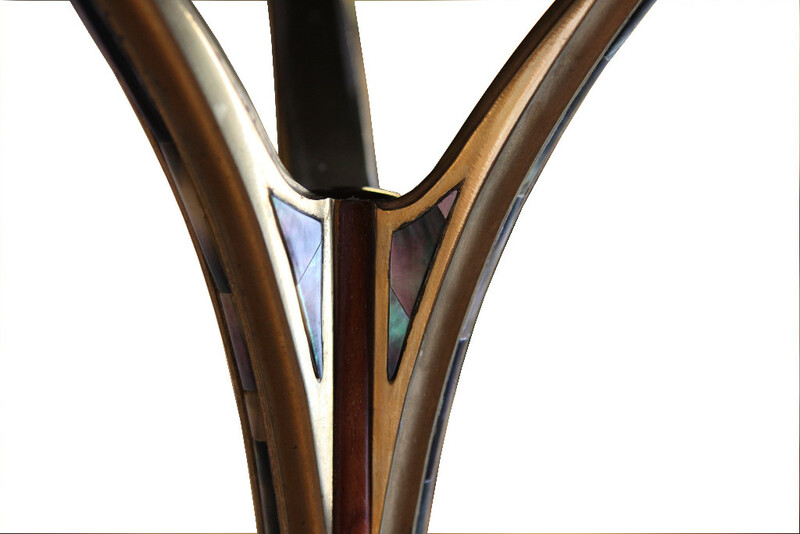 All materials used in this piece are all very high quality and a guaranteed result of a great finish and beautifully crafted. The methods of implementation of this piece follow the traditional savoirs- make that guarantee a lifetime to be very long part of a heritage. 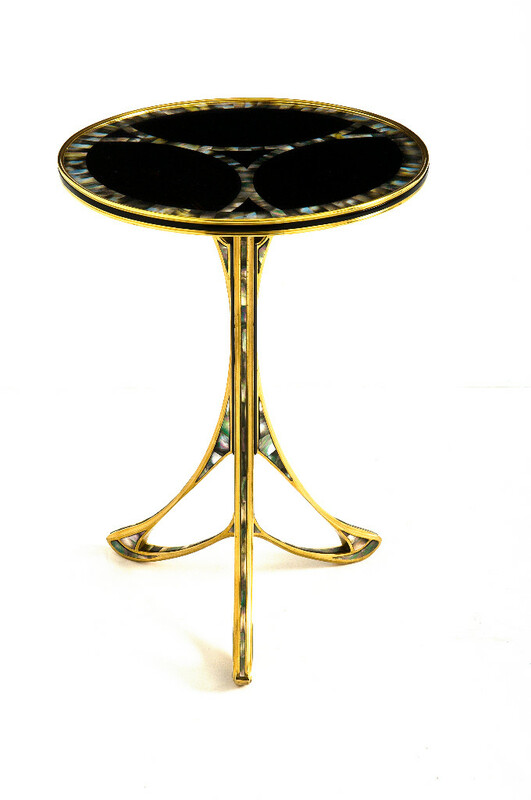 Copies of these custom furniture limited series.